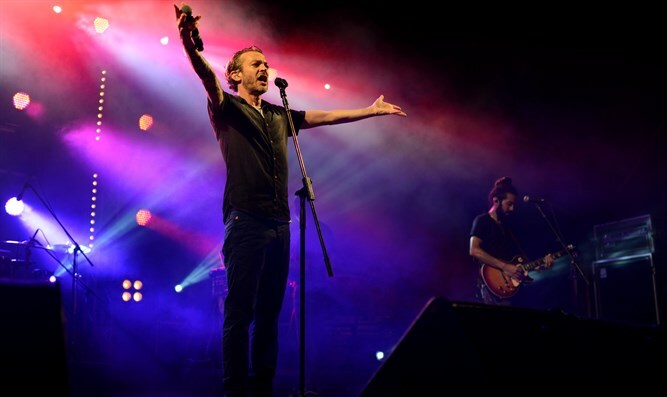 Israeli singer and rapper Muki (Danny Niv) appeared in Efrat in Gush Etzion and apologized for calling for "breaking the bones of the settlers" 13 years ago. "I spoke in a very unpleasant, hostile, and disrespectful way against an entire public. It was a mistake and I apologized for it. Since then, I've become a family head. I'm married with three sons whom I pray will be healthy. We all live here on the same little land. We're all one, we're brothers. We have to love, we have to say thank you," Muki said, and received thunderous applause. "We need to be able to talk, even when we don't agree - to talk. Maybe you'll convince me, maybe I'll convince you. Let's talk. Let's live together, because we have nothing else," added the singer. Thirteen years ago Muki called Judea/Samaria residents "shrews who threaten civil war" and recommended "loading them in trucks, throwing them in some corner, and shutting them up."